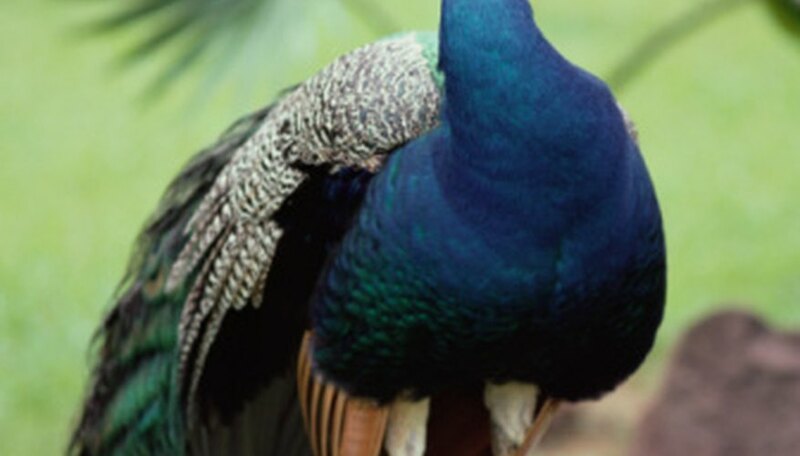 We use the word peacock to refer to the entire species, but the correct name for the pheasant is peafowl. 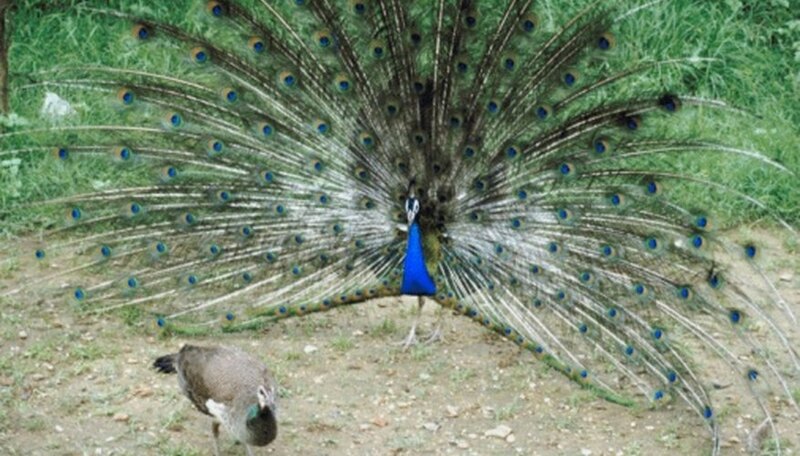 Peafowl are native to India, Southeast Asia and Central Africa -- not the U.S., although there is a large, growing population in Florida. All it takes is for a few birds to escape captivity, and they will quickly breed and multiply. Peacocks are the colorful male peafowl. They have iridescent blue and green tail feathers, with blue, green, red and gold "eye" markings that drag behind them as they walk in a colorful "train." The tail is arched into a large, round fan during a mating ritual or courtship display. Females are called peahens, and they're typically muted brown or green. Residents in many parts of Florida have been complaining about the growing peacock population for years. Neighborhoods from Cape Canaveral down to Miami have been overrun. 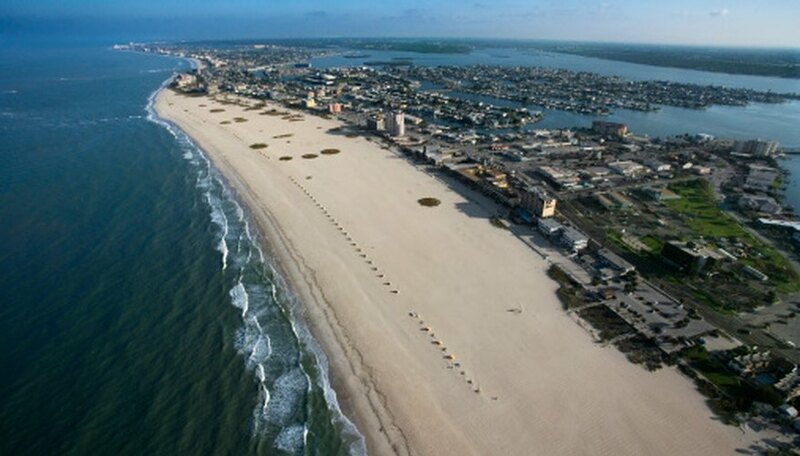 Florida's west coast, including many towns along the Gulf of Mexico, are among the areas that are most populated with the birds. The Florida Fish and Wildlife Conservation Commission has reported receiving dozens of calls from angry residents about peacocks across the state. Most Florida residents with wild peacocks around their home complain about them walking around their front yards, invading their backyards and even walking on their roof. The birds are noisy, and squawk loudly -- even in the middle of the night. They knock out patio screens, their feathers clog air conditioning units, they will walk into homes if doors are left open. They also scratch cars and have even attacked dogs. Their droppings are found everywhere, such as in pools, and can make children sick. Peacocks are not endangered, but they're protected by Florida authorities, who say that Florida is the bird's habitat. Some communities control populations by moving the birds, and others have tried a contraceptive pill. These solutions haven't been perfect, however, because populations can multiply again so quickly. One example is Longbeach Village in Longboat Key. The town has reduced its population of 150 birds down to 12 every year since 2008, but these efforts have proven useless because the number of birds quickly grows again. A couple in Redlands, Florida reported having 130 birds around their home in 2009. They were working with a local non-profit conservation group, Vanishing Species, to relocate the birds. 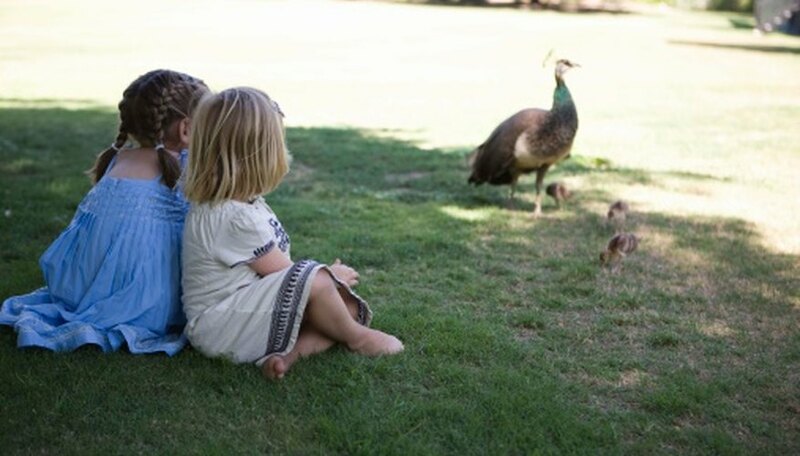 The couple says that when they purchased the house 18 years earlier, there were just two peacocks. Many residents whose homes are overrun with the birds are angry that not enough is being done to address their issues, but others are fighting for the birds' rights. Dennis Fett, who runs the Peacock Information Center website, says that peacocks like being around people and may even crave human company, which he told Fox News in August 2008. Many people say they don't mind the birds because they're a beautiful tourist attraction that prospective homebuyers love to see in a neighborhood. Some believe they even help to make a neighborhood safer for children because they slow traffic when they're walking around. Others argue that they protect houses from being robbed, because their squawk is better than a burglar alarm and will quickly scare anyone away. West, Lily. "Peacocks of Florida." Sciencing, https://sciencing.com/peacocks-florida-8632117.html. 06 August 2018.